Many women fear getting dramatically different haircuts and colors. They worry they won’t like the way it looks or that they will miss their old style. They are scared to try something new and bold because it may not turn out as they had hoped. But you know what the best thing about hair is? It grows back. You can shave your head tomorrow and your hair will start growing back instantly. Yes, it will take some time for it to grow out and be long again. But the point is that a change to your hair is not permanent. If you are looking for a bold new ‘do make an appointment at The Hair Company by The Skin & Body Spa. We offer many different services and can help you get the look you want or test out a new style you never thought you’d love! There are many different reasons to try a new hairstyle, and in this blog we are going to go over some in attempt to convince you to try something new! As we stated before, your hair is constantly changing. Even if you are not doing anything to change it, it is growing constantly, the color may be changing based on sun exposure, and it never looks the same from one day to another. So if you are worry about your new ‘do looking completely awful, just remember it will grow back. Chances are you won’t absolutely hate your new hairstyle and after getting used to the new look, you may actually end up liking it, but if you don’t you have a chance to try out some of those old hats you have always wanted to wear. And slowly your hair will grow back and it will be as though nothing happened. It can spice up your look. There are moments in our lives when you just need a change. You realize that everything has been the exact same for some time. This is the moment when some people get tattoos, some get puppies, some break up with their significant other, but wouldn’t it be easier, and much less commitment just to change up your look? Getting a dramatic haircut or color can give your the change you need to feel fierce and in control of your life. And this is an option this is not as drastic as some of the others listed above. So cut those lone locks off and get the pixie cut your have secretly been wanting. You may love it more than you ever thought you would have. Trying different hair cuts and colors is one way to figure out what you like. 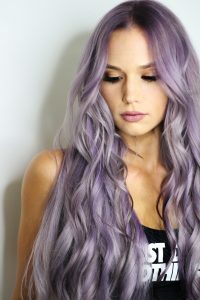 You know those actresses who have beautiful hair and your learn that that is not their natural color, this helps you realize that anyone can put off just about any color and have it look completely normal. So why not try going blonde for a while? You may love the change and find a color that looks even better than your natural color. There are many reasons to be bold with your hair. If you decide to give the new look a try, let The Hair Company help you perfect the new ‘do. View our services and contact us today for an appointment.